No car is more revered among Toyota enthusiasts than the one which they have loved and lost: the beloved Supra. Mourn no more, Toyota fans; it appears as though a brand-new Toyota FT-1 Concept (just unveiled during media day, in Detroit) may eventually be the return of your long lost treasure. 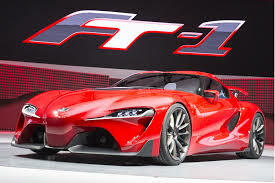 On January 13, in an official press release, the Toyota Motor Corporation (TMC) directly addressed the release of the FT-1 Concept. Calling the FT-1 “A symbol of Toyota’s design future and a spiritual pace car for an ever evolving TMC” Calty design team research President Kevin Hunter went on to say that TMC president and CEO Akio Toyoda challenged his design team to create a car that sparks people’s emotions…and “Make it cool!” The top-guy knew that he was putting the word in the correct ear. The Calty Design Team (a Toyota subsidiary), based in North America, has proven with this radical new sports car concept that they are truly passionate about designing high-performance autos. As car enthusiasts, themselves they realize that the sports car represents the purest form of driving pleasure and they dream about working on projects like this. 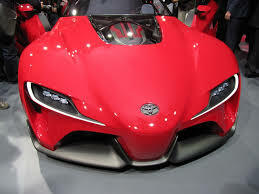 By relying less upon analytical data and trusting more in its talented designers, TMC expects to develop cutting-edge sports cars that continue to push the limits of aesthetic and mechanical performance; making the next generation of Toyotas the most capable and the most exciting vehicles which have ever been produced. Even the name of the car seems to represent Toyota’s commitment to developing cars geared towards the needs of the driving enthusiast. The “FT” represents the future and the “1” represents achieving number one-status among automakers in generations to come. 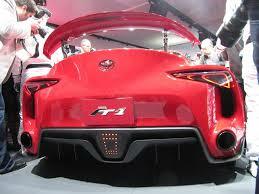 The FT-1 is designed to make your heart race from simply looking at it. It has a powerful and agile appearance which embodies visual excitement born from logical deliberation of what it takes to make a sports car. Alex Shen, Chief Designer with the Calty Design Research Group, calls it “Function Sculpting.” The deeply sculpted fully-functional intakes and outlets provide functional cooling and aerodynamic stability and look as though they were literally sculpted by the wind; finding magnificent solutions for managing polluted air. 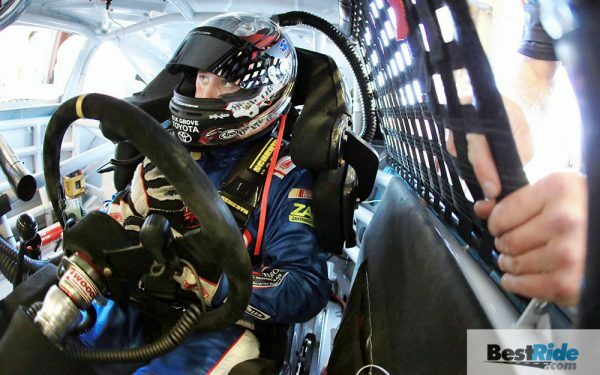 A “sling-shot” style cockpit with the majority of the controls located near the steering wheel and a combat fighter jet inspired heads-up display, projected onto the windshield, keep the driver’s hands where they belong and his attention focused on the road ahead as he becomes one with this high-powered machine. 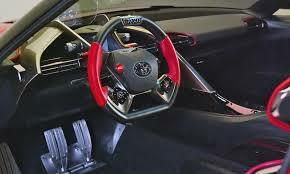 The interior of the FT-1 seems intent on providing a purpose built space for the serious driving enthusiast. The front engine, rear-wheel drive FT-1 will be powered by an ultra-potent internal combustion engine (under a glass display cover — Ferrari style), though few details are available at this time. 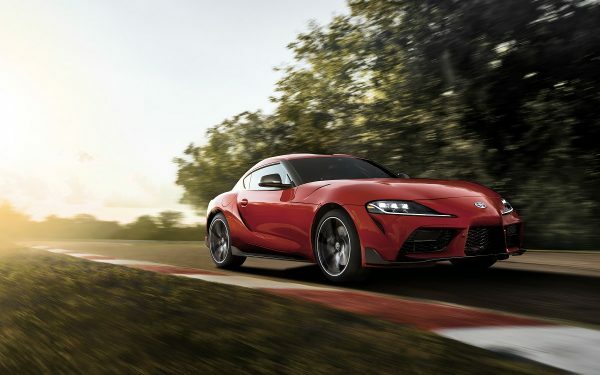 If the FT-1 follows in the path of the later model Supras, then Japanese Domestic Market (JDM) cars will typically outperform United States Domestic Market vehicles, which are held to stricter exhaust emission standards. These types of issues must be addressed pre-production. 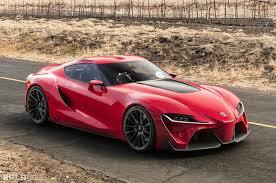 Will this Concept mutate into the new Supra? Only time can solve this complex equation. 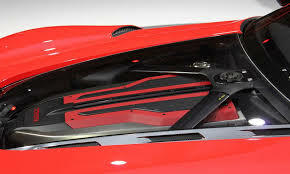 One thing is for sure; if it does it could quickly become one of the most popular vehicles on the planet.